Working with Julie to sell our condo was a pleasure. the transaction was so smooth. She is energetic, professional and a great communicator. We would highly recommend her! When selling our home, Julie was very organized and the entire process was executed perfectly. A great communicator! Thank you Julie! I just want to take a moment to recommend Julie King as your agent for when you are ready to buy or sell a home. We had our house for sale for 6 months last year without selling it. When we decided to try again, we hired Julie as our agent. She brought with her a level of expertise that really got our house noticed. We took her advice in many different areas as it was clear from the first discussion about selling that she had the experience and commitment it takes to sell our house for top dollar with the least amount of stress. Whether it was using experts to recommend color choices for repainting to the staging of our home that would ensure that others would love our house as much as we do. She also takes commitment to an entire new level. She had planned an open house right away. As luck would have it, we had a huge ice storm that day while we were away. Julie still came, set up, even shoveled the driveway. Due to her extensive marketing, there were many people who still came out to see the home. In fact, we got an offer from one of those very visitors. Out of all of the difficult decisions there are when you are deciding to move, Julie was the best one we made. Julie, you certainly earn your commission. You sat with me and took the time to explain every detail of what I could expect. You put my mind at ease. I will not hesitate to recommend you if the opportunity arises. You are what all agents/brokers should be, forthright, honest and you never fail to keep in touch, before, during and after the sale is complete. Your heart is in your work, no wonder you are so successful. Thanks for everything! Both Rose & I have found Julie to be a very easy person to work with. She covers everything in detail and instills the confidence a buyer or seller needs in what could be a very stressful process. Julie arranged for us to work with her Stager so our home was shown at it's very best. That, combined with Julie's marketing, got us top dollar! This is our third transaction with Julie and we would highly recommend her to anyone in the market looking to buy or sell a home. Thanks again Julie! Julie definitely knows what she is doing! She walked us through everything, explained what was going to happen and when, and always in a professional manner. Julie was a pleasure to work with and always available to talk and answer questions. Julie was bang on with our asking price and even got us over asking in a slower market! We would highly recommend Julie to anyone who is looking to sell their home! Thanks so much Julie for a job well done! I met Julie a few years ago when my daughter and her husband bought their first house. I was so impressed with the service she gave them and the time she spent with them, it was an easy decision for us who to use for our house. Julie helped us find the perfect house in a small community and sold my Mississauga home. It was listed just as the shift in the market happened, but Julie did everything she could to sell the house and did. She was always in communication with us even while we were on vacation. She is one of the nicest and most honest people you could meet or deal with. Needless to say, I would recommend Julie to any and all people looking for an agent that works for them. Market conditions changed abruptly in spring/summer 2017 but we had full confidence in Julie's experience and expertise. At every step she took time to explain the current conditions and our options. We would have no hesitation in recommending Julie to family and friends. Julie is an awesome agent that truly caters to your needs. She was extremely accommodating with my situation being so far away from my property. Julie had a soft intuitive side and recognized when I was getting worried or doubtful with situations. She is an excellent over all agent with exceeding professionalism, whom I would recommend to anyone! Julie King has been our realtor since 2003, representing us on four occasions including our latest sale this year. Selling or buying can be a daunting experience at the best of times, especially in today’s market. Julie, however, handled everything in her usual positive fashion putting us entirely at ease! We have absolute confidence in her and would highly recommend her to anyone. She’s a true professional and a valued friend. As a Buyer/Seller, you can be rest assured that your best interests are paramount to Julie and is well managed by her integrity, experience and professionalism which is second to none in the industry. I was totally impressed with Julie’s level of commitment to “our” shared success on the sale of my home. I would and have recommended Julie to future clients. Julie, you were phenomenal! You were endlessly patient with our family needs and so understanding when medical issues created delays. Each moment through this process, we felt 100% confident and secure in your hands! Thank you so much for everything! Thank you Julie for all your help and support during this difficult time. You treated me more like a friend than a client, calming my fears and anxieties but not hesitating to address them. Your energy, enthusiasm and professionalism helped me get through this and I hope I can call you when I’m ready to move into a nursing home! Lol! Julie, your ‘Plan’ for the sale of our Home was excellent & spot on!! Your attention to detail and professionalism made this experience less stressful and led to a quick sale of our house. Thanks so much! Julie did her homework before our initial meeting. She took us through the whole process explaining all with honesty and dedication. Her ability and energy to bring it all together was amazing. Julie even managed to make the experience fun! In selling our home, you presented yourself Professionally and with amazing people skills! Excellence across the board! We would not hesitate to highly recommend you to our family & friends (and have already done so!). Thanks Julie for a job well done! Julie King is a no nonsense professional that knows how to sell houses quickly and efficiently. Without the guidance, support and knowledge provided by Julie, our house (I believe) would not have sold so quickly and for above asking. It was a real pleasure working with Julie. Unfortunately we wished we had more time with her, but with the quick sale, it was a short and sweet relationship. 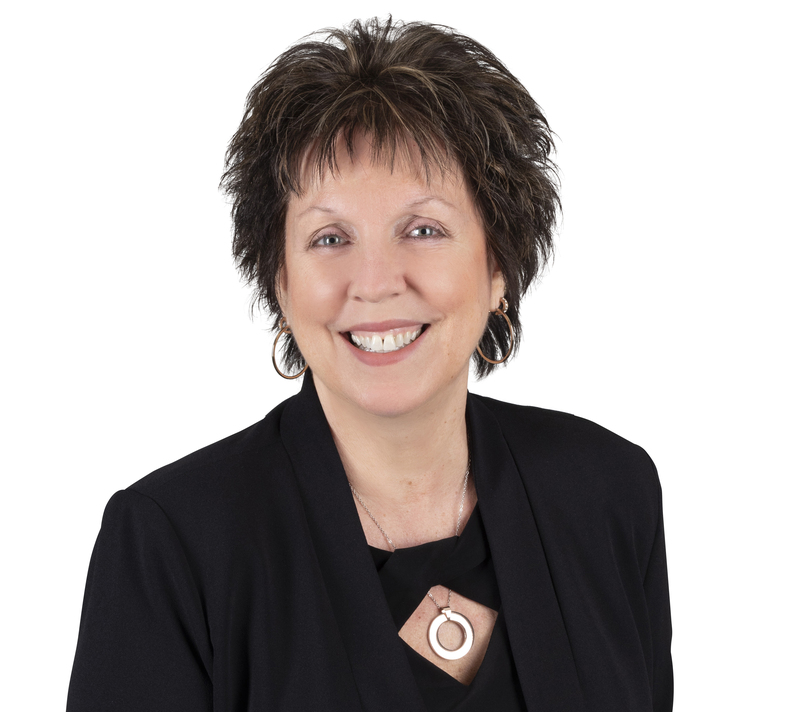 Julie is extremely knowledgeable about all areas of buying and selling a home. We are repeat clients and would not hesitate to call Julie in the future if needed. Her follow-up after the sale/purchase of our home is superior. She takes the stress out of the entire process and makes sure that everything runs smoothly. Thanks again Julie! Julie, you are very professional, very friendly and do excellent work! We are glad that we had the opportunity to have you sell our home. It is a pleasure to know you and we hope that we can stay in touch. Thank you! Julie certainly knows the business and understands the market. Very personable and connects nicely. Never pushy, great emotional intelligence and knows how to use it. It was a pleasure from our first meeting onward. Julie’s attention to detail meant nothing was missed. Julie’s expertise in the real estate field guided us through a complicated sale. She was always positive and encouraging. Julie responds to questions (by phone and email) almost immediately. She is completely professional and knowledgeable. We would not hesitate to refer her to others and would definitely avail ourselves of her services in the future. A job well done! As a Real Estate Agent, my husband and I found your level of care and service extremely enjoyable. We found you to be very attentive and responsive to our needs. You went the extra mile for us! Thank you! Julie is an excellent agent in every way. She is very personable, highly motivated and works very hard for her clients. Her comprehensive marketing approach is extremely effective resulting in the sale of my home in just 5 days for almost 100% of the asking price. Julie does all of the work and gets great results, making the selling process a true pleasure for me. 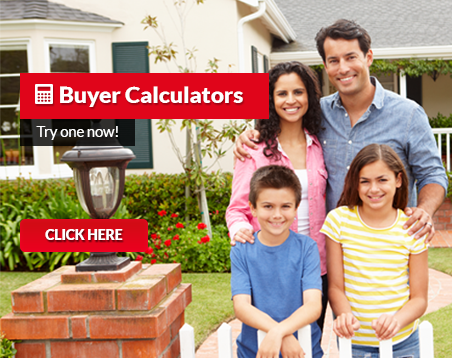 If you are selling your home, list with Julie to get the job done. Simple as that! Julie was there to support and reassure us through the sale of our first house which we also bought with Julie. Excellent communication! We wouldn’t work with anyone else! I liked the prompt service to get the list of properties to me via email daily. I really appreciated the fact that Julie knew the neighbourhood, and where I wanted to buy. She also took the time to take me outside of my area to compare the values, which were quite helpful. She compared each property, and pointed out all the positive aspects with regards to what I was looking for. She understood my budget and did not pressure me into looking or buying a property I could not afford. She was very thorough in explaining all the necessary steps and paperwork that needs to be followed. I would definitely recommend hiring Julie as your agent. Julie acted on our behalf for both the sale of our house and the purchase of our new home. We can only say that, in every manner, she was more than helpful and professional. Her organizational skills, knowledge and thoroughness were markedly evident throughout all aspects of the process. We are extremely grateful for the advice, fairness and graciousness that she displayed. We would recommend her services highly. We are highly impressed with the high level of communication and support we received from Julie. She worked hard to ensure that we found the ideal location and condo that we were looking for. We recommend Julie to our friends in the future. Thank you very much for your outstanding service Julie. It is my pleasure to recommend Julie for any of your real estate needs. We found working with her a joy as she helped us during every step of such an elaborate process as buying a house. She emanates a sense of trust, worthiness and comfort that makes you feel very secure and confident during what is, without a doubt, a very involved process. Julie is a true professional in every sense of the word, putting her client’s interests far above her own. We would be very happy to give Julie our highest recommendation for anyone desiring to sell or buy a property. Her in-depth functional and practical knowledge, numerous professional and personal contacts, and great reputation in the industry, gives her a unique vantage point from where she can take advantage of opportunities for her clients which other realtors can only dream of. As a first time home seller, my ability to understand and navigate the entire process from pre-listing through closing was significantly improved thanks to Julie’s experience and strong communication skills. Her marketing strategies and negotiation abilities were key to the successful sale of my property. In our search for an agent to assist with the sale of our late mother’s home, we found from our initial phone call and subsequent visit with Julie our search was over. Julie’s professionalism, attention to detail and sensitivity eased out stresses greatly at this very emotional time. Through e-mails, home visits and eventually ending in conference calls across the country, she kept us up-to-date and well informed on every aspect of the sale. She went above and beyond in recommendations and assistance in helping us ready the home for the market. As a result we realized a quick sale and an outcome with which we were all very satisfied. Julie was a pleasure to deal with and we would, and already have, highly recommended her to others. Julie, thank you, thank you, thank you! Julie is great! Her support, dedication and level of professionalism was amazing. My parents had moved from a fairly large family home to a condominium, and during this challenging transition, Julie was very mindful and aware of my parents’ needs. She guided us through the whole process with patience and attention to detail always. Her outgoing personality and kindness made this difficult transition much easier for all of us. We appreciate all of your hard work and dedication Julie, thank you. After several months of frustrating searching in an extremely busy market, I found Julie and within weeks we found the perfect home for me. Julie was proactive and always available to make last minute appointments which is essential in this market. She was patient, knowledgeable and I trusted her advice. Thank you Julie for helping me. I will never hesitate to recommend you in the future! Julie, thank you so much for the very generous gift card. The whole process of buying a house was not nearly as overwhelming as it could have been. This success was clearly a result of your professionalism, and genuine desire to want to see someone be happy with their purchase. You knew exactly what I wanted and made sure that I got it. I must confess, there were times where I felt bad because we were looking at places that were clearly a waste of time, but you told me that we had to do it so that I would know the right place when I saw it. And you were right. I also never got the sense that you were in a rush to go see other clients, or to get a viewing over with. You allowed me to take my time looking at a place and make a decision. I am sure that not every agent is as patient as you were. Julie, I would not hesitate in recommending you to my family and friends. Thanks again. We would absolutely use Julie in the future. Her services were very pleasant and made our first purchase really easy. We will definitely be calling Julie again on our next move!!! Julie, it was a real pleasure working with you. Not only were you very professional, but also very informed, strategic and pro-active. You will certainly be my first choice for any future purchase or sales. Thank you once again. From the moment Julie became my agent, she showed and provided complete commitment, making the sale of my home the most prepared it could be. Throughout the process, Julie gave 100% plus more. Thank you for making this less stressful than it could have been. Julie was contacted by my ex-wife to facilitate the sale of our matrimonial home, during a very difficult time for all of us. Putting aside commissions, Julie consciously encouraged both parties that it would be most beneficial to sell the interest in the home to one of us, instead of listing it in the condition it was, and under the acrimonious situation we were involved in. Today, we both find ourselves closer to moving on in positive directions, and I know if I ever require an agent in the Mississauga area in the future, Julie would be at the top of my list. Julie was a dream to work with. I had no worries because I knew I could trust her to get everything done! We will not use Julie again, since she found us the perfect home and hopefully we will never move!! Actually, if we do make another move, we will definitely use Julie again in a heartbeat! Julie was very professional and I enjoyed having her as my agent. She also sold both my daughter’s homes. I would definitely recommend her and use her again going forward. Julie, from the first time we met you, we were very impressed by your professionalism and knowledge, but most importantly your understanding and concern for our personal circumstances. Your realistic advice and honest no pressure approach helped us to make the right decisions and gave us confidence in your ability to sell our house. We were absolutely delighted by the way our house was presented in your booklet as well as on-line. Your reassurance that everything would work out certainly eased our stress. Your immediate response to all our queries was very much appreciated, both in the selling and buying process. Personable, professional, trustworthy – not enough words to describe the wonderful experience we’ve had working with you. As first time buyers, we had no idea what to expect when we contacted Julie to start our search. Working with Julie was a great experience, her professionalism and upbeat personality made looking for our first home effortless. Julie took the time to get to know us and after a few short months found us a home that is absolutely perfect for us. Julie was available whenever we needed her, all of my e-mails, phone calls and texts were answered immediately. New listings were sent daily, and an effort was always made to show us as many houses as possible. Julie would meet with us whenever we were available; this included spending almost every weekend and several evenings after work with us. Julie was always honest in her feelings about the houses we were looking at, a quality I did not expect but greatly appreciated in an agent. Julie always had our best interest at heart and advised us on pros and cons we may not have considered as first time home buyers. We never felt any pressure to make a decision while house hunting. We looked at our current home on 3 or more occasions and had Julie prepare documents at least twice before finally making a decision. It was with Julie’s continuous support and helpful advice that we finally found the perfect home for us. As a first time home buyer, I was unaware of all the details involved with purchasing a home. Julie walked us through step by step answering any questions we had. She continued to support us throughout the closing of our house making sure we were comfortable with every process and procedure. We praise Julie every chance we get and recommend her to anyone who will listen. I would never consider selling our current home or purchasing a new one without her. Julie, thank you so much for putting up with us (and our parents!) weekend after weekend while we searched for our dream home. House hunting with you has been an amazing experience and we couldn’t ask for anything more. The sale of a home can be a stressful event, but having Julie King as our Real Estate Broker made the process so much easier. When they say first impressions count, well, Julie made a great first impression! She came to our first meeting fully prepared; there was nothing that she didn’t have at her fingertips. She explained the sale process in detail, walking us through a standard offer to purchase prior to the listing of our house. Julie represented our best interests in a very professional manner and conducted the negotiations with integrity. Without reservation, we would highly recommend Julie to our family and friends. She was a pleasure to work with and a valuable advocate to have on our side. Julie is a consummate professional who demonstrated attention to detail and market knowledge during the sale of my condo and purchase of the my new townhome. She provides comparative market analysis and updates so that you can make an informed decision. Her professionalism gives you the comfort level during a time that can be a stressful situation. This built a level of trust giving me the feeling that I was in the best hands during the sale and purchase process. Julie explains the process in detail and verifies that you understand everything, no questions go unanswered. She follows up constantly with the latest developments in the process and ensures all parties receive communications in a timely manner. Julie also ensured that my cat, who potentially would try to escape, was included in the info in the listing to agents to let them know about her being in the condo. She even went as far as posting notices on the outside of my front door to let people know she would be on the other side as well as a notice on the inside to remind people when they left that she was right behind them and to make sure she was in the house upon exiting. I’m happy to report that there were no incidents of an “escapee”. During the search for my new home, we saw a lot of places and Julie devised a system in which you would remember details about each one. Her organizational skills shined during this time right down to the order in which appointments were made and the punctuality for each. She also didn’t hesitate to give her valuable and knowledgeable opinions about layouts, resale values, potential issues and other details I would have never thought about. This led to my decision of the purchase and I know that I made the right decision with Julie’s help. To conclude, I have already recommended her to friends and acquaintances and I would highly recommend her to anyone! Our adventure in buying a new home and selling our existing home was one that we are so grateful to have had you as our agent. When we initially decided that it was time for us to move, we had no definite idea of where we wanted to live or what type of home was right for us. With tireless determination, you took us to see houses in Oakville, Erin, Orangeville, Mississauga and Caledon (I am sure that I am likely missing a few locations!). The showing appointments and the road trips were scheduled and planned out to the last detail. Not once did you make us feel rushed into making a decision or that we were taking too much of your time. Even when we lost the opportunity to put in an offer on a house that we thought was ‘it’, you assured us in your calm, professional manner that it just wasn’t meant to be. And you were right! After 2+ months of searching, we finally found the house that was meant to be ours. Even then the process to secure our “dream” was not without its own new set of challenges and adventures. You went above and beyond to ensure things went the way they needed for us to successfully make the move to our new home in July. We have been so excited in working to make it our home that we are horrified to now find ourselves writing this letter in November. The selling of our existing home was the part that we both were a little apprehensive about. You helped us with the planning right from the start by recommending a few trades to assist us with some repairs and kept us on track with a calendar of events. We were surprised by ending up in a multiple offer situation but even then you walked us through how it worked, turning a daunting and potentially stressful situation to a positive negotiation and a very pleasant outcome. Your amazing organizational skills and effective communication are likely the traits that stand out most when we think back on the whole process. It really helped us from feeling overwhelmed at any point along the way as, thanks to you, we knew exactly what we needed to do when. There was no question that we felt was too silly to ask you and we felt that being in constant communication really helped us to get through it all. We will not hesitate to recommend you, Julie, to all of our family and friends that might be looking to go through the same adventure. Thank you again for all of your help. Working with Julie was a pleasure from start to finish. I couldn’t have asked for a better agent! I never had to wonder what was going on. Daily updates were emailed. Excellent Service! Julie, what we really liked the most was your relationship you kept with us. The constant market updates and how they applied to us was extremely beneficial. You were patient, helpful and always had an answer for us (and still do!). Thank you for all of your support and help. Please drop by whenever you are in the area. Julie, your professionalism gave me the comfort level I needed to put my trust and faith in you that you would do your best to sell my home... and you certainly were true to your word, selling my home in just a few days! Thanks so much for all your hard work and including me in every step of the way! Julie was extremely helpful with our condo search. Honest, reliable, quick to laugh and smile. She went the extra mile for us by even suggesting ways we could decorate. Julie made buying a very enjoyable experience. Would highly recommend her in the future. Julie’s knowledge and professionalism gave me the peace of mind and confidence necessary to navigate through the selling process as stress free as possible. I felt I was in very good hands and I was prepared for every step along the way. It was a very positive experience and I highly recommend Julie. We recently, for the 3rd time, used Julie to Sell our home. Her Attention to Detail in all aspects of the sale including Advice on how to best get the property ready for sale, her insight into the current housing market and pricing strategies, her negotiation skills as well as her extensive marketing program, allowed us to once again, successfully sell our home with as little stress as possible. We have no hesitation in recommending Julie to all of our family and friends and would welcome working with her again in any of our future real estate endeavours. Since this was the first time I have sold a house, I felt Julie did an excellent job walking me through the process and making me feel at ease. Julie made me feel comfortable and helped me through a stressful situation. If I needed anything or had a question, all I had to do was ask. I also found the staff at Royal LePage who set up my showings very helpful and courteous as well. I would not hesitate to recommend Julie to my family and friends. It was a pleasure working with Julie King. She assisted us even before we listed our home and guided us along the way so we could get the best value for our home. Throughout the process Julie was extremely professional and knowledgeable as well as very easy to work with. Our home sold very quickly and we were very satisfied with the results. I would highly recommend Julie and would definitely use her again. Julie did an amazing job promoting and selling our house. We would highly recommend her to our family and friends. Julie, thank you for all your help with the sale of my home. Your direction on staging the home was invaluable. Your communication with me through the process was tremendous! Working with Julie was a pain free experience. We appreciated her guidance on preparing our home for showing and her guidance on what to expect in an offer. We have already provided friends and acquaintances with Julie’s contact details. We were impressed with Julie’s dedication, professionalism and personal touch. She treated us like family and spent hours with us to find our perfect home. She took time to understand our needs and we believe we would never have found the place we both love without her help. We whole-heartedly recommend Julie to all of our friends! Thanks Julie for a wonderful experience! We love our new home! Thank you for the outstanding real estate service you provided to us when we recently sold both our properties and purchased another. From the moment you were involved, we were impressed by your professionalism, thorough knowledge of the market, and your helpful guidance and support. You always came prepared with solid research of the area in order to help us determine the market value of the property and the improvements which would help us get the most return. As a homeowner, the process of getting a house ready for sale can sometimes be overwhelming and exhausting both physically and emotionally. You were always there to provide encouragement, support and great advice with a smile. When we needed to find resources such as painters, cleaning services, stagers, etc. you would take out your little blackberry and voila! Problem solved. Always helpful, never pushy or too busy to answer our questions you guided us every step of the way. When it was finally time to put the properties on the market, you took care to make sure the listings on the MLS boards were well written highlighting all the best features and you provided great photos in order to attract a large number of buyers. The feature sheets were also beautifully crafted and added to the overall marketing strategy. Needless to say we experienced a large number of visits and were able to sell one property within the first couple of days over list price and the other on the first day of listing at list price thanks to your efforts, marketing strategy and negotiating skills. We enlisted your services once again to help us find a new home and were very happy with the result. We have already referred you to a couple of people and will continue to recommend you to all our friends and family. If you ever need a reference we would be delighted to provide it. Thank you again for all your efforts. Julie realized we weren’t just buying and selling a house, we were finding a home for our family. Her attention to the impact on our family was really appreciated. Julie sold my house in 4 days. A true professional; she guided me through the entire selling process to ensure success. Her sense of humor helped me through the busy time of selling. She is a master strategist. If you want to buy or sell, Julie knows her business. I recommend her without reservation. Julie is extremely professional and knowledgeable about the industry. We appreciated her honesty, feedback and patience…… unlimited patience!! We can’t say enough about our extreme satisfaction with her handling of both our purchase & sale of our homes. Julie, we liked your hard-working attitude and your knowledge about things around the house, which helped put us at ease in our decisions as to whether ‘as is’ conditions of the house would be acceptable or not. This is our first time buying real estate, and so far it’s been a great experience. We would definitely use your services again and again. Julie King is the best agent I’ve ever had the pleasure to deal with. Very professional, our house was sold in five days with 3 offers! I will recommend Julie to all of my friends and family. She is the best!!! I wanted to drop you a quick note to thank you for making my home sale and my new home purchase a seamless and most importantly a stress free experience! As you know, it was a big decision for me to sell my townhome, but, with your guidance it was a very easy process from start to finish. Your attention to detail and superior professionalism should be applauded. Please feel free to share my coordinates with any of your future prospects for a reference at any time! We would like to express our appreciation for the excellent service you provided during our search for a house in Ontario. Even though we were still in Calgary you telephoned and emailed us with new housing information and listings to view online. You listened to our wants and needs very well and ensured we had a variety of homes in different locations to view when we made our house hunting trips from Calgary. You were very organized and spent a lot of time with us during these trips ensuring we saw a number of different communities to compare and see if they fit our lifestyle. To top things off you made a sometimes stressful time a lot of fun. Your warm and vibrant personality made buying our house in Campbellville a great experience. You ensured all the right questions were asked about buying a house in a rural area, and had fun in the meantime. Hopefully we will be here in our new home for years to come, but if we require the services of a real estate professional in the future, you can be sure we will be in contact with you to take good care of us once again. We were absolutely delighted with the service we received from our agent, Julie King. She is professional, knowledgeable and efficient. Buying and selling a home can be very stressful, but Julie instilled confidence by providing expert guidance and keeping us informed throughout the entire process. She prepared a comprehensive brochure, complete with excellent photos, descriptions and other useful information for potential purchasers. With her great integrity and skills, both the sale of our home and the purchase of a new one went very smoothly. We would recommend her highly to any prospective clients. Thank you for your personal service, Julie, and a job well done! I recently had the good fortune of having one of your representatives, Julie King, list and sell my townhouse in Mississauga. I am a widow in my 70s’ and have never experienced selling a property on my own, as my husband typically handled those matters. For that reason, I was both anxious and naive about such things and totally reliant on the expertise and professionalism of the agent I chose. I was so very lucky to have found Julie, who is not only professional but excellent at her job and delightful to deal with. She assured me from the start that she would look after me and set about handling everything from getting documents in advance from the condo corporation, to sending me detailed customer feedback reports, to holding my hand throughout the sales process. From the beginning, I felt that I was in expert hands. The best part is that we ended up selling in less than two weeks. I’m convinced that her hard work, advertising and excellent advice on pricing is the reason I was able to sell it so quickly. I just wanted you to be aware of the wonderful job that Julie did on my behalf and what a fine agent you have representing your office. I would gladly recommend her to friends and family. Julie, you are wonderful dear and I am so very grateful for all of your hard work! I would like to let you know how impressed I was with the service I received from my Royal LePage agent Julie King. She was extremely professional and returned all calls promptly. I listed my house in Etobicoke in July. The house went on the market on a Thursday. Julie held Open Houses Saturday Sunday and by Sunday evening my home was SOLD! In just 3 days, she had managed to sell my house for MORE than the listed price. I was also very pleased with the advice she gave me to get the house ready for the market. I feel if it was not for Julie's help and the great advertising she did in 3 different newspapers, my house would not have sold so quickly. It's not a lot of fun having your house on the market but Julie made it a lot more pleasant and easier for me. I also used Julies' services when buying my new home. I told her exactly what I was looking for and the price range I could afford and she went out and found it for me. Once again I was able to get what I wanted quickly. She did not waste time by taking me to any other type of house other than what I told her I was interested in. It was nice to have an agent who actually listened. I would highly recommend her to anyone that is interested in either purchasing or selling a home. She has a way of making you feel very comfortable. I really enjoyed the service and Julie does a great job! We wanted to send you our deepest thank you, in your performance in selling our home. You made things easy for us and it was also fun. You worked with us, and I know you worked hard to get all the exposure we could get, great advertising, the Open Houses you had, and just keeping us informed on what was happening. You also provided feed back on all the viewings, so we were always included. We will definitely pass you onto our friends, because we know they will be getting a great Realtor. Many thanks. All the best in your career. Just a short note to express our sincere gratitude for the superb job well done in selling our home on Rathburn Road. As I mentioned to you sometime after we met last fall, we were always aware of your presence and activity in our neighborhood, not only through your listings, but also the occasional flyer with “selling tips” and your annual knock on our door as an introduction. Not too aggressive but at the same time, staying in touch with potential clients. When we began to look for an agent, we wanted to speak with you first. Your expertise and tips on home preparation and renovations proved invaluable, resulting in a very quick sale in only twelve days. We were also extremely pleased with your counsel and negotiation with the Buyer, resulting in a selling price higher than expected. Both Royal LePage and yourself exemplify professionalism and it has been a real pleasure doing business with you. If we were not moving to Nova Scotia, we would be happy to do business with you again. If you ever decide to visit Atlantic Canada, be sure to look us up. But beware, once you’ve experienced the flavour of the Maritimes, you may not want to leave. There are lots of properties to sell there too!! Many thanks Julie.